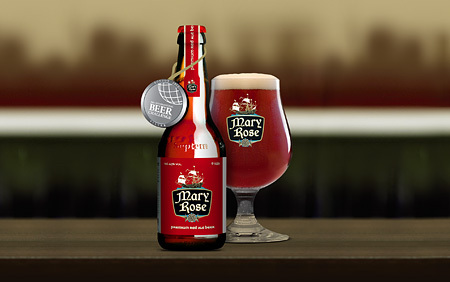 Mary Rose beer has been awarded the Silver Medal at the International Beer Challenge in the red ale category. This is a great achievement since beers from all over the world participated in the competiion while the International Beer Challenge is among the most important beer competitions worldwide. 50 independent judges study each beer in turn, considering the appearance, the aroma, the taste and the finish, before discussing their findings with other table members and reaching a consensus on which medal to award. The level of knowledge and experience of the judges is striking and, for a beer to achieve any kind of medal from such exacting critics is a real achievement. Mary Rose is the result of a collaboration between OK Athens and Septem brewery and it's a quality red ale beer inspired by the legendary ship of the British royal fleet created by Henry VIII.